I met Angus several times in the 1970s. He gave me the rights to a TV version adding “That will be well beyond my lifetime!” His book was developed by me and he approved of certain characters gaining promotion, ie Bruce, Gloria, and also the Good Aunt, Miss Laying – who viewers may see at sometime in the future held a total secret about Tony’s family which was NOT revealed in the book! He lectured me on some aspects of the book, saying he would not allow older actors to play parts they were not suitable for, just to make it available for viewers. Angus was a wonderful man. Was the book biographical? Who cares! Great book! Top marks to Pilot for re-publishing it. For those interested, the script is now in the hands of an American company. Thank you for your most interesting comment. I think you can tell that Stewart was an interesting man from his writing. Certainly, to write about an adult/youth relationship with such sensitivity and understanding took both skill and courage. I am delighted to hear that it is being considered for a movie. For a Lost Soldier, by Rudi van Dantzig made a beautiful movie. PS – Please keep me informed. Part one is available to read on the simplyscripts.com website. Look under unpublished. Angus himself thought it might be too boring for a film and hence what I have completed is a 3-part mini series for TV. 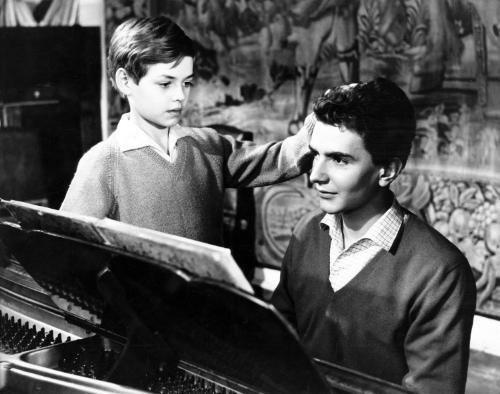 Angus approved everything in the script, he thought the addition of music from the 1960s an inspirational move and he said his father was laughing out loud at one particular scene. I will keep you posted! Gerry, Could not believe those photographs, apparently of Tony Sandel and David Rogers! I publish the book in the UK and we are about to open in London with an adaptation of the novel by Glenn Chandler. Tell me the story behind the photos. Thank you for your inquiry, Piers. 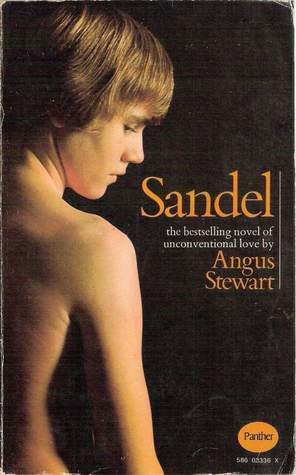 ‘Sandel’ is a beautiful story, and it was a pleasure both to read it, and also to provide my comment and support. The photos are in fact those associated with ‘Les amitiés particulièr,’ by Roger Peyrefitte. If I knew how it was done at the time, I would have given a photo credit, but the photographer was not listed either. You can find the images at: https://www.google.com/search?q=Les+amiti%C3%A9s+particuli%C3%A8res,&es_sm=122&source=lnms&tbm=isch&sa=X&ei=ZNBwU_THKceayASs74GQDw&ved=0CAkQ_AUoAg&biw=1024&bih=475&dpr=1#facrc=_&imgdii=_&imgrc=jeDOp1l2Hy0EHM%253A%3BX5lqxRShvxmf5M%3Bhttp%253A%252F%252Fcdn-premiere.ladmedia.fr%252Fvar%252Fpremiere%252Fstorage%252Fimages%252Fcinema%252Fphotos%252Fdiaporama%252Fimages%252Fles-amities-particulieres-1964__5%252F6061442-1-fre-FR%252Fles_amities_particulieres_1964_portrait_w858.jpg%3Bhttp%253A%252F%252Fwww.premiere.fr%252FCinema%252FPhotos-film%252FPhotos-acteur%252FLES-AMITIES-PARTICULIERES-127560%3B500%3B394. Amazing and thank you. I never read the Peyrefitte, though both were in print with Panther, part of Granada Publishing, when I was an assistant editor there in the early 1970s. What goes around comes around. Berniece. Thank you for taking the time to comment. Please do share my blog. I would consider it a compliment.